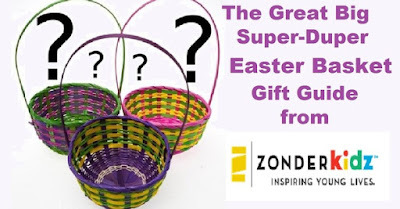 The Great Big Super-Duper Easter Basket Giveaway! Can you believe Easter will be here next month? Wasn't Christmas like yesterday??? I've categorized the titles in groups for gift guides for different ages and a separate category for our Easter themed picture books for 2016. I would also like to offer you each the opportunity to give away one (1) entire category to one (1) lucky winner for your blog. To enter: leave a comment below, include which category you'd like to win, and include contact information or yo will be disqualified. A beautifully illustrated, whimsical, rhyming ABC picture book by bestselling author Anita Higman. Pictures by award-winning artist Jeneal B. Rogers. This timeless message of true love is appropriate for both children and adults of all ages. C: "I love you like a Cookie crunch. I love you when you're late for lunch." J: "I love you sour, I love you sweet, I love you like a Jelly treat." M: I love you More than fuzzy beagles. I love you more than ice cream giggles. W: I love you when we have the sillies, and when we’re chasing Willy-nilly. My thoughts: I LOVE YOU SOUR is the sweetest little alphabet book ever! I absolutely adored it. I read it to my four children who were home with me at the time, and they all laughed, even the twenty-somethings. I absolutely loved this. I got a kindle copy for review from Book Fun Magazine and the author, and I am going to buy a hard copy one for my own personal library. A beautiful book with lovely illustrations and a heartfelt message any mom, grandma, aunt, or dad, grandpa, or uncle will love to read to their favorite child. 5 stars for sure. Love, love, loved it. Just a little extra, for those who are interested . . . you know all those cool doodling color books that are everywhere now? 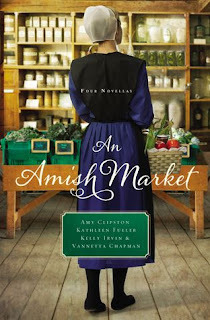 Armonia Publishing is releasing one in March, and we're so excited we can hardly stand it! Rabbit Doodles is illustrated by the lovely and talented Elise Whittier Church, and each of the rabbits in the book is drawn from a real rabbit at Elise's local rabbit rescue. If you'd like a preview - a free coloring page from the book - "hop" on over to Free Stuff at Armonia Publishing and sign up for our weekly newsletter. Nothing pushy there; just a weekly fun, encouraging article and some announcements about our cool upcoming projects. Feel free to share the link with your friends! 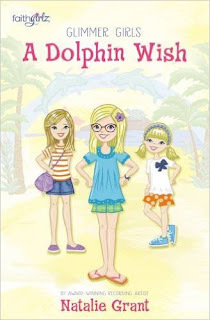 My review (by Jenna): A DOLPHIN WISH is a very good book. 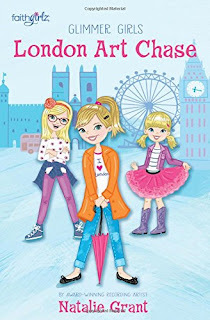 In the first book, Maddie chased down the art thief so Mia was jealous and wants a mystery to prove she's equal to her sister but in the end she realizes they won't be the same all the time even if they are twins. So her relationship with her sister was restored. Very good book, recommended. 5 stars. My thoughts: LOVE BIRDS is a really sweet, young adult-ish style romance. Ellie is 18, but acts and thinks rather immature. When her brother dies, she takes a part-time job, but when her new boss says he'll have to cut her hours even more, she goes against Lloyd's wishes and tries to force him into selling his birds instead of respecting his wishes. Lloyd is a sweet young man, kind and caring, though deeply wounded by Ellie's actions. Will he ever trust her again. Well-written, sweet, and YA, this would be a story a mom wouldn't hesitate to allow her tween, young teen daughter to read. 5 stars. My thoughts: A BID FOR LOVE is one of the best books I've read by Ms. Fuller lately. I loved Hannah Lynne. She is so sweet and innocent. Ezra is confused by her. He doesn't exactly understand why he seeks her out, why he wants her to be happy, and this ends up hurting her worse as she doesn't know how to act around him. The quilt brings it all to a head, but when the truth comes out, will it ruin any chance for happiness? A sweet romance. 5 stars. My thoughts: LOVE IN STORE is a romantic suspense set around two middle-aged people. They both work at a tourist site in Nappanee, Indiana, where strange, but so far, harmless things were beginning to happen. A rubber chicken and strawberry jell-o "blood" left in the ice house. Molasses spilled in the blacksmith shop. Innocent pranks that hinted that something bigger, something possibly deadly, was on the way. I was hooked and spell-bound from the beginning of this story and had to keep reading to see how it would end--and who-dun-it. A great story. 5 stars. Overall, 4.75 stars for the collection. Rounded up to 5. My thoughts: LONDON ART CHASE is a really good book, I can really relate to the main character, Maddy, because she's really quiet like me. She has a hard time expressing what she wants. And sometimes in the book she just explodes and does what she wants. I hoped that by the end of the book she would find her passion and her courage. I really loved this book. A lot of times after she got in trouble the way she expressed her guilt made me practically start crying because we are so alike in many ways. 5 stars plus. 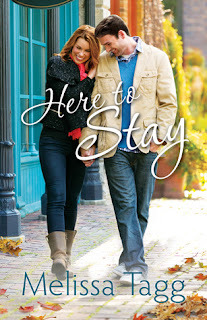 My thoughts: HERE TO STAY is the second book in Ms. Tagg's Where Love Begins series, but it easily stands alone. I fell in love with Blaze in Ms. Tagg's first book Made to Last and couldn't wait for his story. It did start out rather slow, but by the middle my interest was piqued and didn't let go until the end of the book. I enjoyed getting to know Blaze (Blake) and Autumn, their hopes and dreams, and still loved Blaze just as much when this story ended. He was a hurting, but real hero. Sweet, and kind, and misunderstood. I enjoyed this book much more than I did the first book in the series, and am looking forward to future stories by Ms. Tagg. 4.5 stars. Interview with Elaine Stock and giveaway! Interview with Diane Theiler and giveaway!